There are endless stories about the Goodwood Festival speed already in print so I won’t go into too much detail here. I can say the British know how to put on an event that is unequaled anyplace else in the world. I have been to the events in Monterey California numerous times and yes they are great and even spectacular but there is something about being in the cradle of motorsport that adds a distinct flavor to Goodwood that you will not find elsewhere. 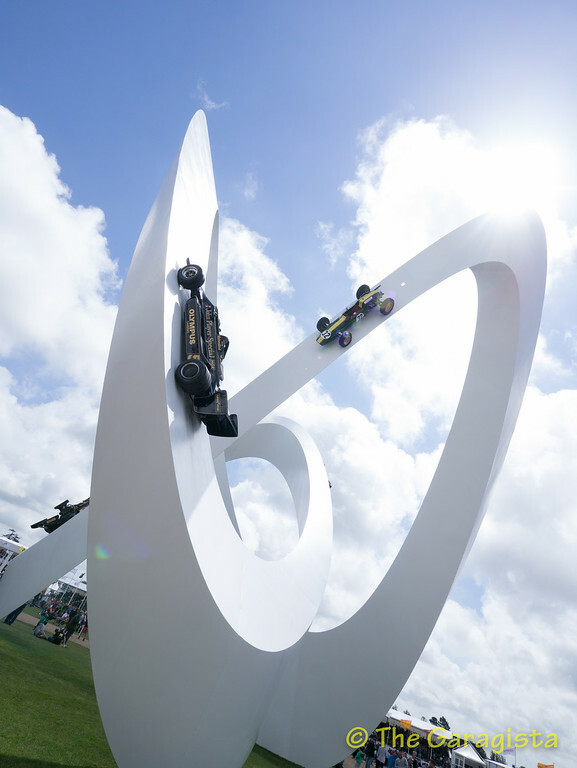 This years event was special for me with Lotus celebrating its 60th anniversary since being founded by Colin Chapman. The range of Lotus race cars on display was incredible. with everything from a Lotus Mark 2 built by Chapman in 1949 to the latest F1 car. 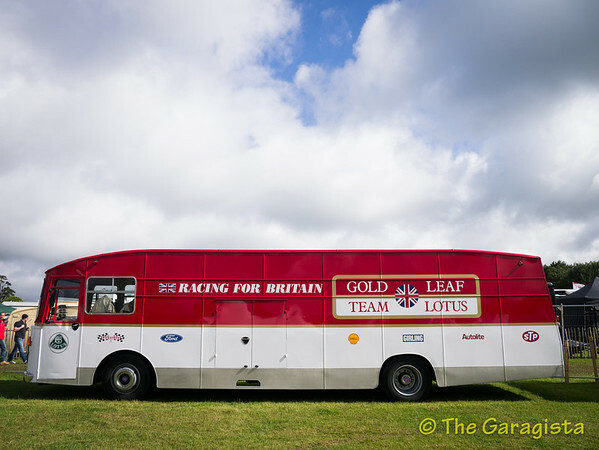 I think one of my favorites was the Team Lotus Transport in Team Gold Leaf colors. 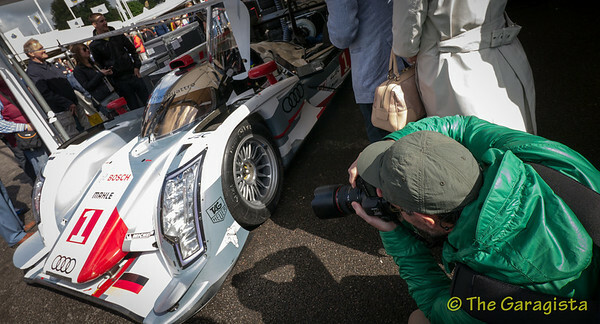 In addition the fine collection of Lotus cars , there were many other rare and unique examples of some very impressive machines like the 2012 LeMans winning Audi R18 E-Tron Quattro. The event has something for everyone including pre-war, motorcycles, rally cars and displays from most of the automotive manufactures. I’m already looking forward to next year. Gallery | This entry was posted in Colin Chapman, Events, Historic Races, Lotus, Lotus Cortina and tagged BRM, Classic Team Lotus, Colin Chapman, Cortina, Coventry Climax FWA FWB, Elan, England, English Ford, goodwood, Goodwood Festival of Speed, Historic Racing, Lotus, Lotus Cortina, retro. Bookmark the permalink.